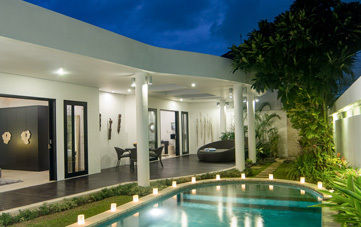 From $ 423AUD per night We have direct contracts with most villa owners. We don't add any booking fees. We are 100% transparent with no nasty surprises. 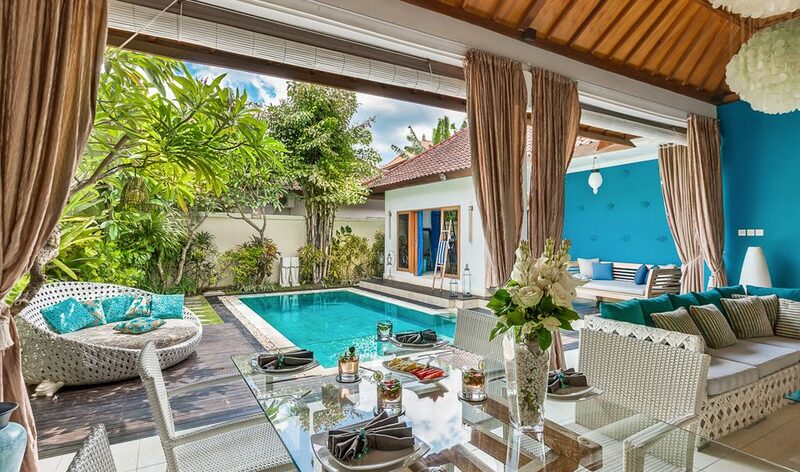 Fabulous Seminyak location - rent this now! 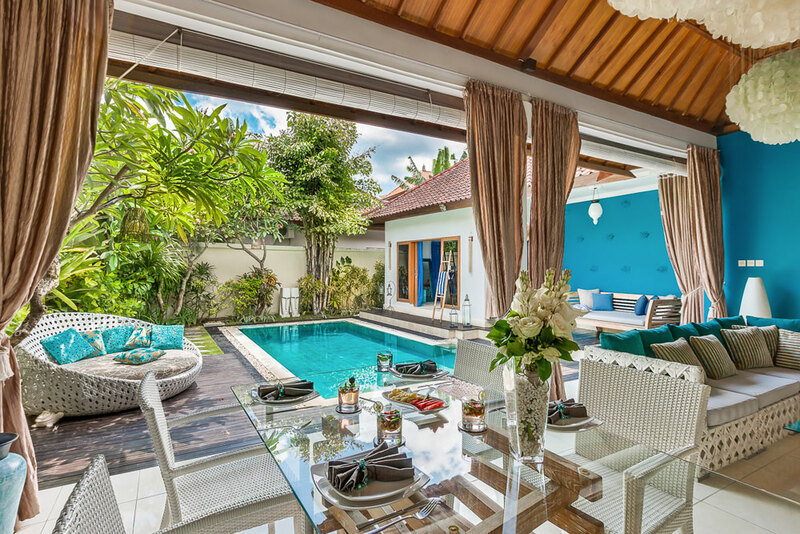 Villa Sea is ideal 2 bedroom Seminyak holiday villa rental for a small family or couple traveling together, its private swimming pool, spacious gardens, stylish decor and modern amenities will appeal to most holiday makers who are wanting a central Seminyak location, without spending a fortune. 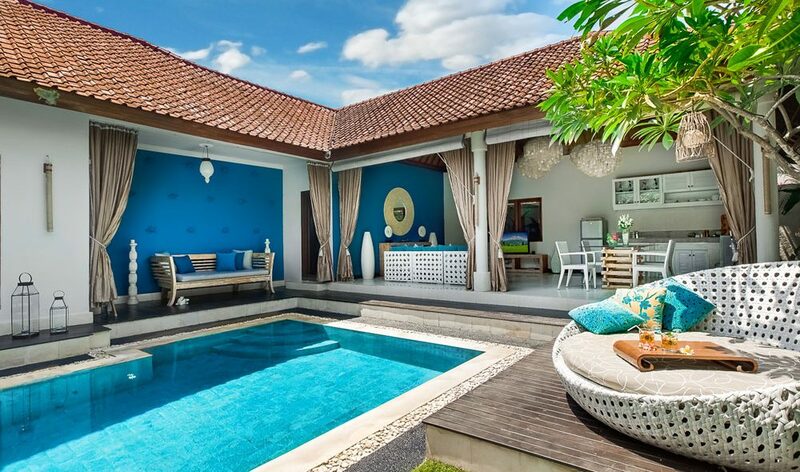 In fact, this villa is really good holiday value. 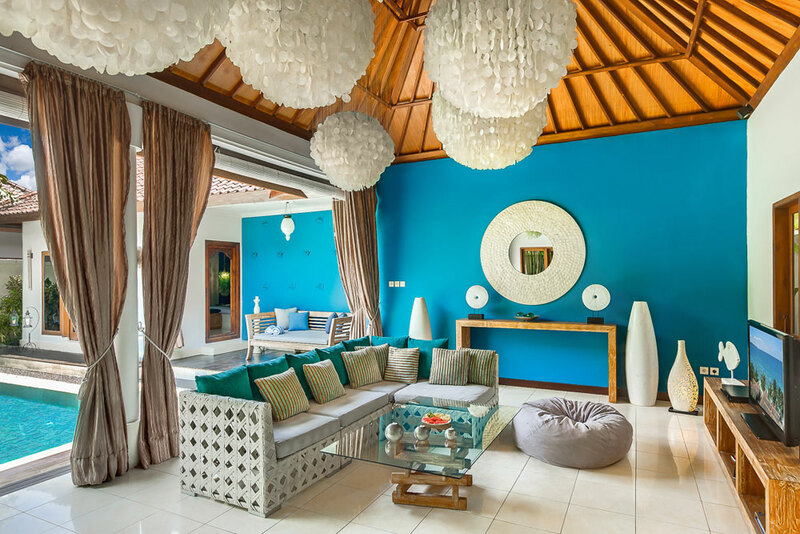 Lying back in the stylish circular day bed with your partner, or friends, sipping on a refreshing cool drink with the smell of coconut oil and the shading of the fragrant frangipani, could it it be anymore perfect? 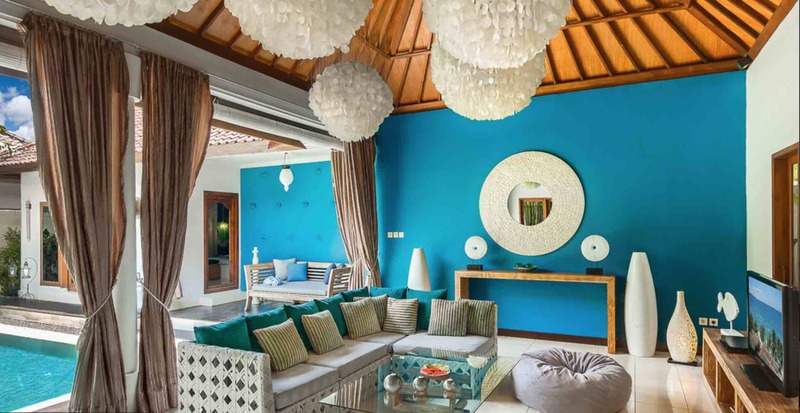 The living areas are open-air right by the pool making the perfect indoor/outdoor setting, decor is decidedly chic and vibrant with pastel hues making it beachy. 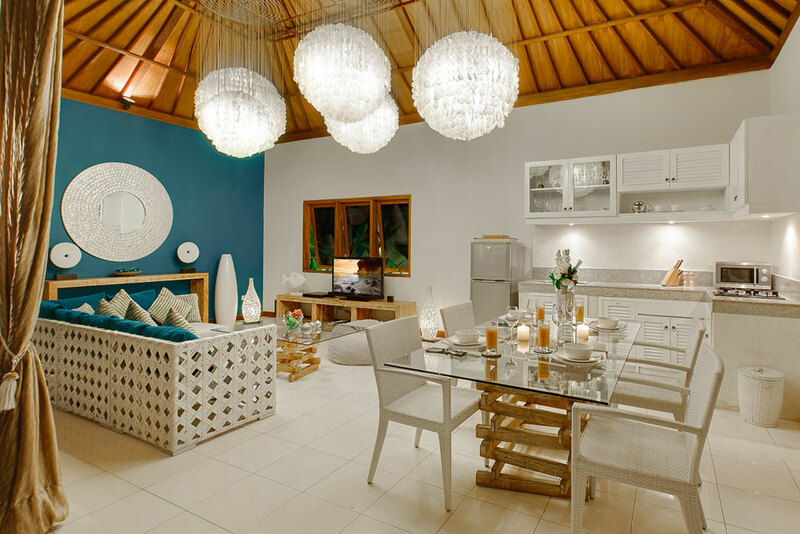 The dining table seats 6 and the kitchen has everything you will need,the 42” LCD with DVD and cable channels, iPod dock will look after all of your entertainment needs when your not swimming in the pool or exploring all that Seminyak has to offer. 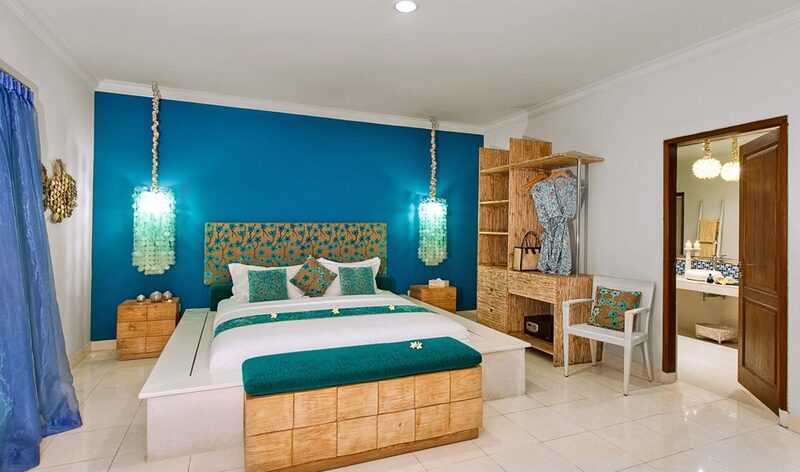 The master suite opens onto the pool, vibrant pastel hues and whitewashed timber furnishings blend perfectly. 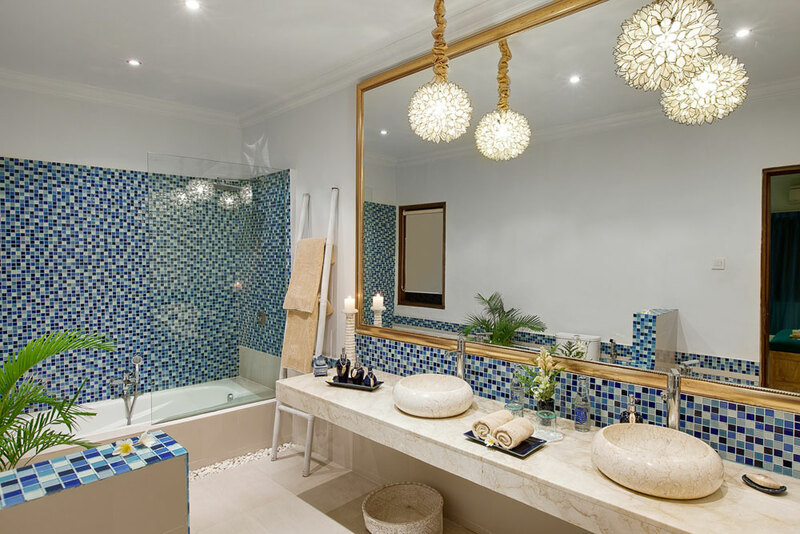 Both en-suited bedrooms feature twin vanities, monsoon showers, soaking tubs, hand and a selection of toiletries designed by the villa group to enhance the pampering experience. Both rooms have generous king size beds, built in robes, safety boxes, air-conditioning and flat-screen TV’s. 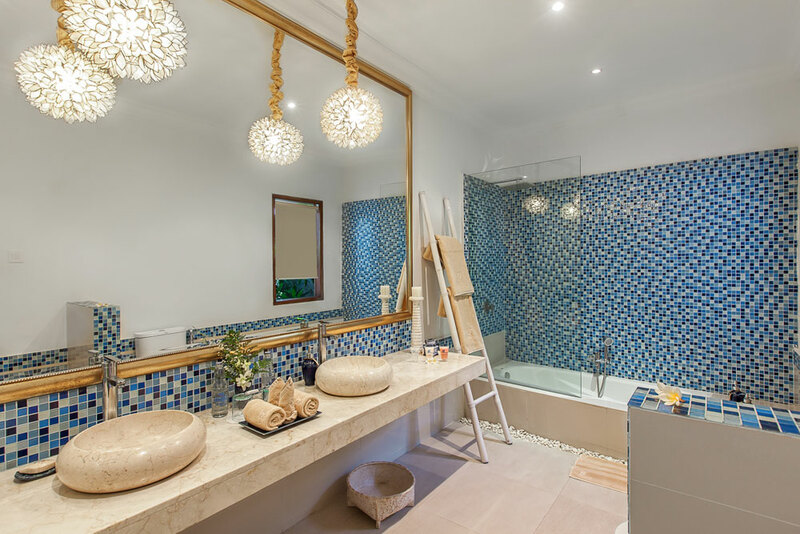 The villa will be cleaned daily and the villas staff are there to make sure your stay is absolutely perfect. If you need any laundry, in house villa massages or restaurant / tour bookings made the staff will take care of everything for you. 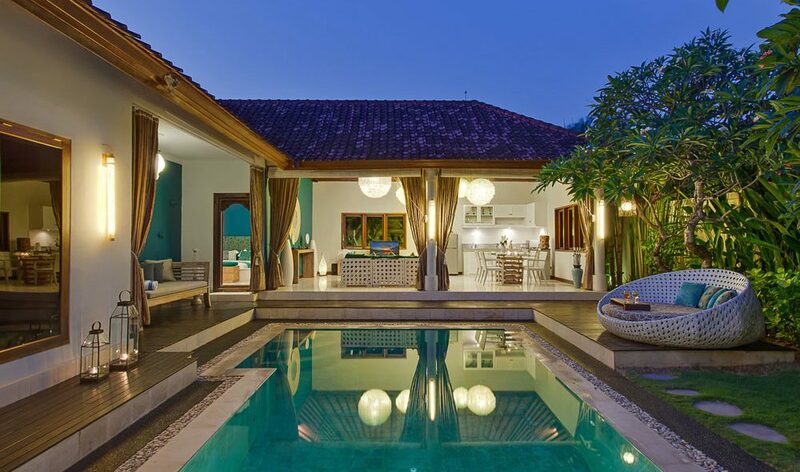 Villa Sea is located in a very quiet area just off the most popular street in Seminyak, Oberoi Street. If you need to do any grocery shopping head straight to Seminyak Square where you will find imported items and lots of things you would get back at home. The beach is no more than a 10 minute stroll from the villa where you can gain access via the Ku de ta Beach Club car park. Restaurants to look out for include: La Lucciola, Mama San, Metis, Sardine and the popular Sarong. 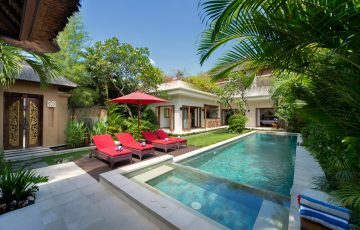 To view other 2 bedroom Seminyak Villas or see more Bali Villas near Eat Street & Seminyak Village, please browse this website or contact our reservation team. 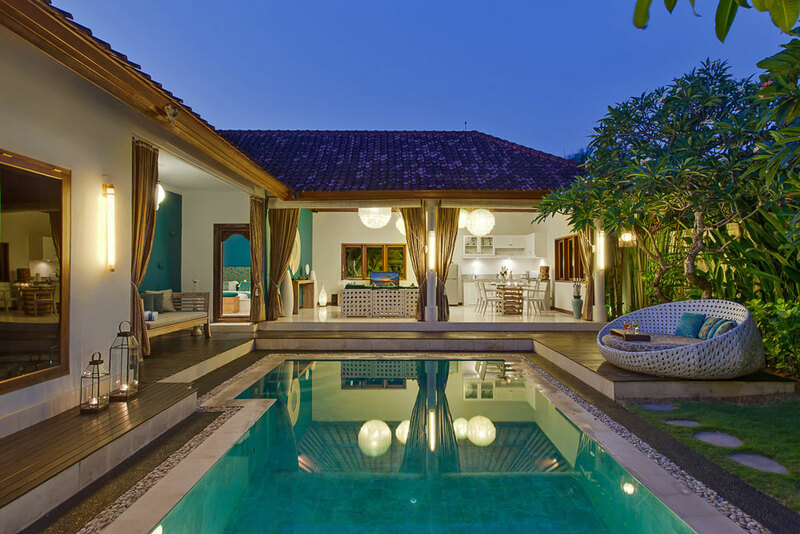 Book your Seminyak holiday at Villa Sea well in advance as this is a really popular villa especially if your planning a trip to Bali during the Australian school or public holidays. Welcome drinks, fruits and cold towels. Accommodation for 2 persons per bedroom. 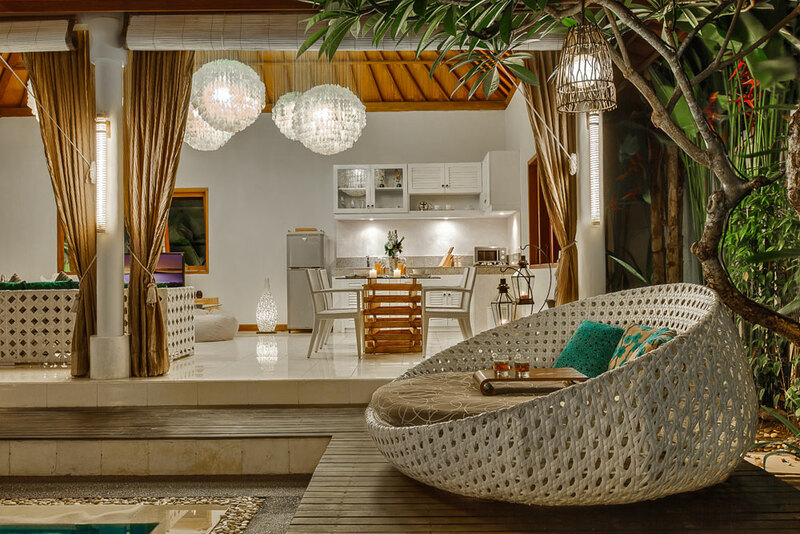 Daily selection of breakfast cooked in your villa’s kitchen. Coffee and tea making facilities. Daily housekeeping and turn down service. The kids and us loved this villa as soon as we were met by the amazing staff. 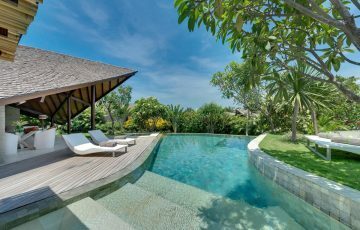 Everything about Villa Sea was fabulous; the amazing location ( and I'm talking right in the centre of everything), the pool area as well as the modern bedrooms and bathrooms. 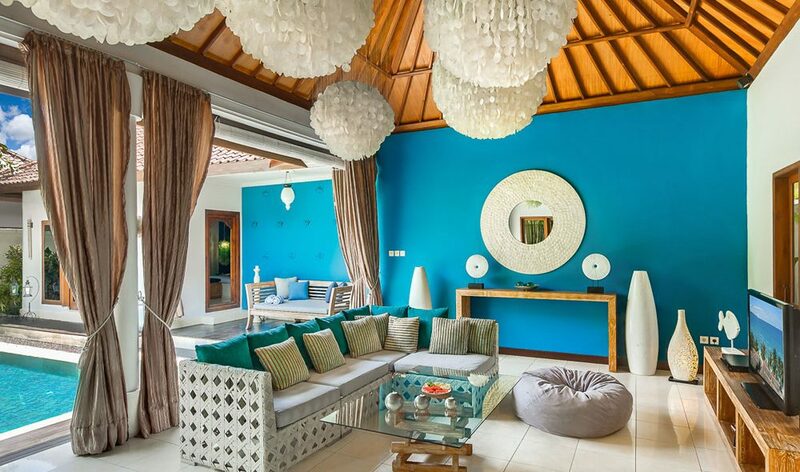 This was our first villa experience as we generally stay in hotels every time we come to Bali. 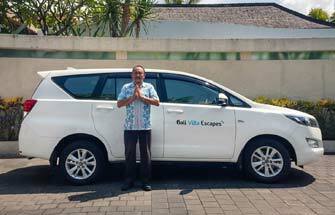 Staying here for a week completely changed our mind about accommodation in Bali - we love villa living and we can thank the team at Bali Villa Escapes ( Dewi & Ina) for recommending Villa Sea. 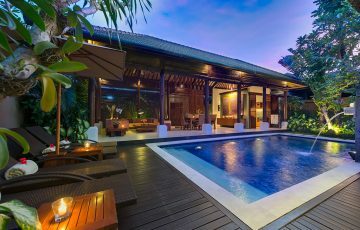 We are coming back to Bali next year and have already made plans to stay here again - easily this gets a 10 out of 10. We have spent a fantastic 8 days at this villa with our 2 children and loved the place. The children enjoyed playing in the pool while we were happy to relax and watch them enjoy themselves. At night it was so easy to get around and discover some fabulous restaurants on 'Eat St' as well as a bit of shopping during the day. It was all within easy walking distance. The villa staff were also an added bonus and they were friendly, happy and keen to cook us tasty snacks - those breakfasts were amazing! 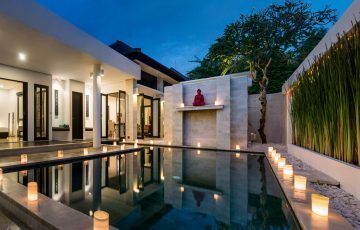 The villa was quietly tucked away so we never heard any noise even though we were close to Seminyak Square - plus it had security so we felt very safe with the kids the whole time. 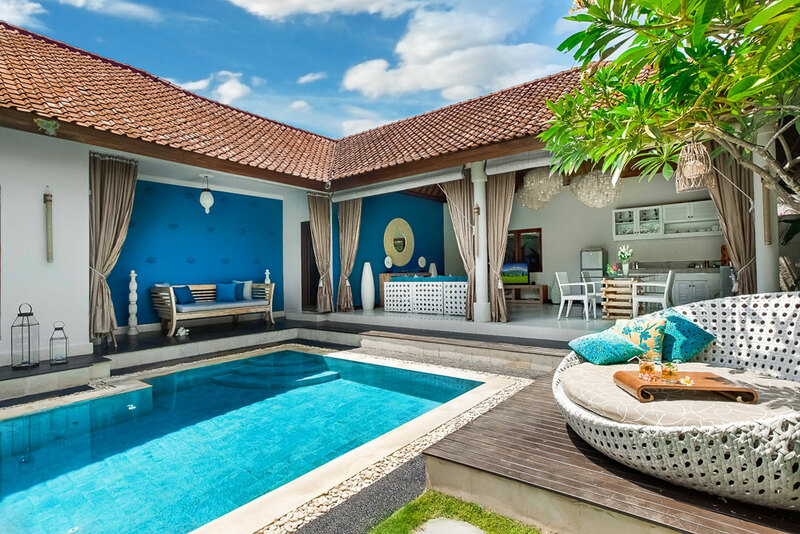 We would definitely return to Villa Sea & highly recommend this as a perfect family holiday stay. 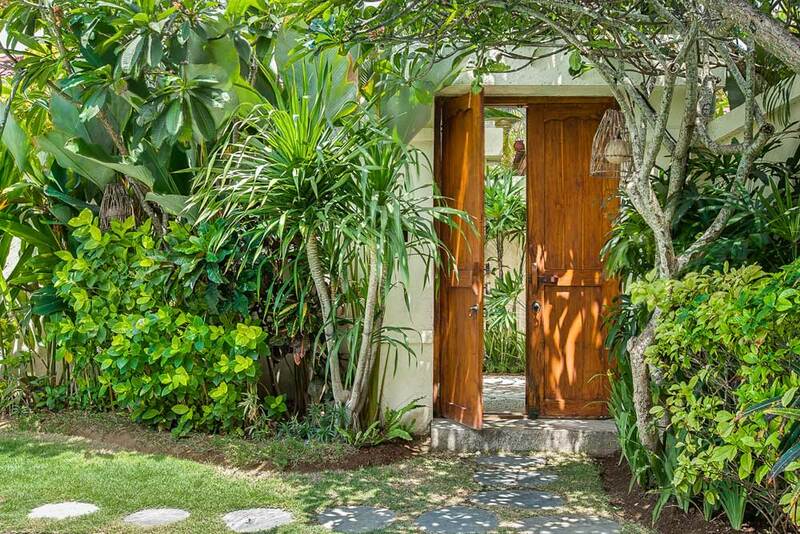 What a unbelievable location in the heart of absolutely everything in Seminyak! I loved the fact that all the coolest shops were so close by - so easy for getting those souvenirs and clothes. We spent 5 days here with 3 children and we loved the fact that we could get to the beach easily. 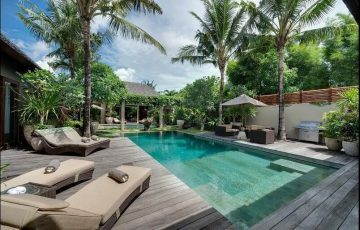 The villa was well maintained by the staff and the pool and garden areas were wonderful - Perfect for our family and great value. We have just returned from a 9 day stay at Villa Sea. From the second we arrived we were met by the very friendly staff & our own Agung ( this was a real treat)! Amazing value and can't wait to come here again. 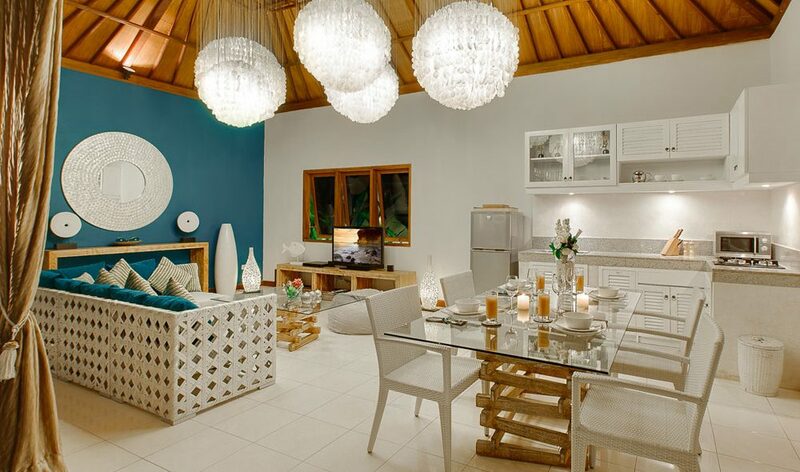 This is all about easy holiday living in a lovely villa. 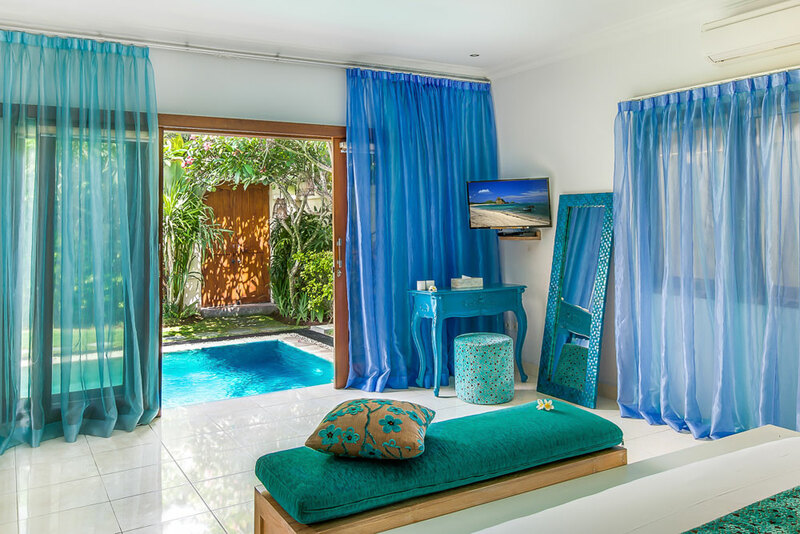 Top Seminyak location, friendly staff, nice pool - a real gem! So happy we decided to stay here again. Second time to villa Sea and there will be a third!